December 15, 16 & 17, 1955. MINISTERS of several denominations, including the Rev. David Edwards [Congregational], the Rev. Ivor Reith [Methodist] and the Rev. Hugh Etherington [Rector of Southwick], as producer, are taking part in a play for three days next week at the Barn Theatre. The play, by Mrs Elizabeth Penney, will be presented by Young Wick Players in conjunction with Southwick Choral Society and local churches. Toys, sweets and other gifts will be collected in the foyer for the Church of England Children’s Homes, to be distributed for Christmas. First-class acting by Betty Gedge was the outstanding feature of The Christmas Story, a Nativity play written by Mrs. Elizabeth Penney, of Southwick, and performed for the first time in the Barn Theatre last week. Betty’s portrayal of Mary, the Mother of Christ, kept the audience spellbound. Her deep serenity, perfect control and poise, and the obvious sincerity of her performance, set a high standard for amateurs. The play was presented by the Young Wick Players in conjunction with Southwick Choral Society and the local churches, and was produced by the Rector, the Rev. Hugh Etherington. Also taking part were two other local clergy, the Methodist Minister, the Rev. Ivor Reith [Angel] and the Congregational Minister, the Rev. David Edwards [Balshazar]. Apart from being a highly successful production, the performance was yet another encouraging example of Southwick’s enterprising community spirit. As for the play itself, Mrs. Penney’s sympathetic treatment of the old and tried favourite of generations was received with acclaim. Although it seemed a little long-drawn in one or two scenes, this did not greatly detract from the general effect. She treated the subject robustly, yet with reverence, and on occasion showed herself capable of a neat turn of phrase. Mr. Etherington employed several unusual and effective stratagems to gain the full effect. By using a loudspeaker centrally placed in the hall and hung from the rafters, the heavenly voices were projected throughout the auditorium most realistically. Careful lighting, too, arranged by Frank Hurrell, was most telling in the first and last scenes when used to simulate the glow emanating from Mary and her Child. The cast of 22 seemed to realise the depth of their parts and played accordingly, with an overall pleasing effect. There were flaws, but offset against the whole, they paled into insignificance. The Christmas Story, a new Nativity play, was presented at the Barn Theatre, Southwick by the Young Wick Players. Augmenting the cast were members of three local churches and recorded music was sung by the Southwick Choral Society. The production, directed by the Rev. Hugh Etherington, was notable for its attention to detail: authentic costumes from the east, imaginative lighting [by Frank Hurrell], and sound effects [by John Chatfield] greatly enhanced the piece. 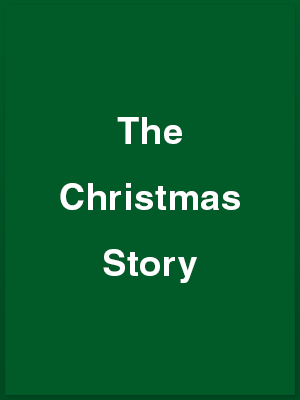 A first full-length play by Southwick authoress Elizabeth Penney, The Christmas Story, was in free verse. The first scene and last act particularly had beauty and sincerity in dialogue and acting. Outstanding Performances came from Betty Gedge, who gave a sensitive portrayal of the Virgin Mary. Mary Gedge, a natural and convincing little servant at the inn, and Patrick Johnson who, with his excellent diction and demeanour, created a notable Melchior [one of the Three Wise Men]. The other two Caspar and Balshazar, were admirably played by Ralph Dawes and David Edwards. Betty Carpenter gave a moving performance as the intolerant proprietress of the inn who later repents. Ivor Reith was well chosen for the Angel and Ian Elliott, although a little hesitant, gave a sympathetic study of Joseph. Charles Randall contributed a neat characterisation of the old man philosophising with the shepherds. Jean Porter provided a lighter note as Hulda and Diana Hubbard, as a neighbour, spoke her lines with clarity.